Reliability: it always makes life better. That favorite hoodie, your trusty old truck...when you find something that's dependable, you just don't want to let go. When it comes to work jeans that work hard and keep you safe, this brand is up for the challenge. These ... (see full details) (see specifications) #10020812. Reliability: it always makes life better. That favorite hoodie, your trusty old truck...when you find something that's dependable, you just don't want to let go. When it comes to work jeans that work hard and keep you safe, this brand is up for the challenge. These Ariat Men’s Alloy 10020812 M4 Bootcut Jeans are as reliable as a Golden Retriever; when you're looking for flame-resistant workwear that holds up over time, Ariat delivers. And did we mention they look great, too? That's a bonus. These men's jeans are 12.5 ounces of 100% cotton comfort for your workday. The stretch denim cotton flexes as you work proving once again that tough work jeans don't have to be uncomfortable and stiff in order to last. The dark wash has the perfect touch of light sanding and tracking to make the Ariat flame-resistant jeans interesting, but not flashy. After all, they're blue jeans, and you want to look like you're there to get a job done, not pose for the camera. The Alloy color is a popular option for Ariat jeans, which proves it's a great look. The bootcut opening fits perfectly over work boots and looks great doing it. Ariat has always been known for adding a little easy style to their hard-working workwear, and these FR jeans are no different. You may be heading out to work but that doesn’t mean you can't have a little style mixed in, right? These are classified as CAT 2 for flame resistance so staying safety compliant on the job is easy. This stuff has to hold up and keep you safe so don't cut corners when it comes to choosing your brands. You can expect the best value for your investment with these Ariat Men’s Alloy 10020812 M4 Boot Cut Flame-Resistant Blue Jeans from Working Person's Store. 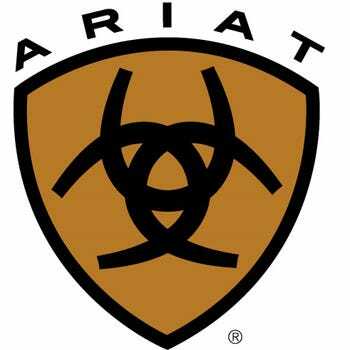 Ariat FR Jeans: Men's Alloy 10020812 M4 Flame-Resistant Bootcut Jeans is being added to your cart.